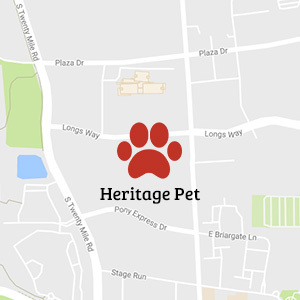 At Heritage Pet Grooming we are committed to upholding an excellent standard of pet care professionalism. 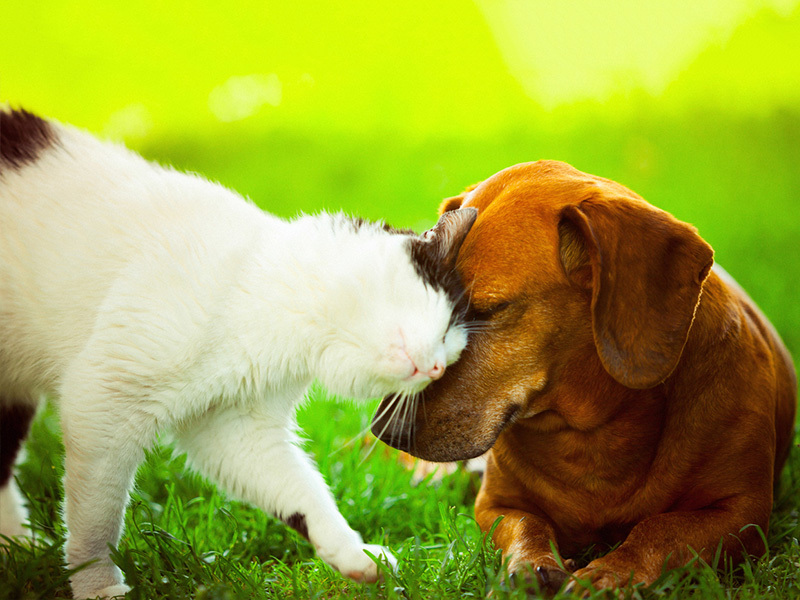 We believe your pet’s experience should be relaxation and fun. We regularly attend continuing education classes so that your pet can have the latest styled clip or brushing technique. Our staff has varied experience with animals in addition to our grooming experience. Most of us have worked in the pet care industry for our entire careers and we LOVE animals. We feel our clients are among the most important people on our team. Without you, we wouldn’t be here. We truly feel as though we are in a partnership with you in taking care of your pet. We do our best to accommodate your needs and take your requests to heart. After more than 20 years in business, many of you have become family. 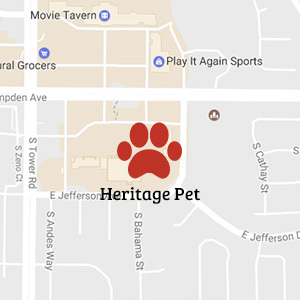 Your dogs and cats feel like they belong to us too, and we look forward to seeing them when we see your name in our appointment book. We appreciate you and try our best every time you come in to let you know how much you are appreciated. Thank you, thank you, thank you! Vickie is the owner of Heritage and raises and shows English Cocker Spaniels. She graduated from the Aurora School of Dog Grooming in 1989. She specializes in Terriers and Sporting Dogs and is one of the few groomers who hand-strips, cards, or “rolls” the coats. Vickie only grooms select days now as her time is spent managing all aspects of the business. She is always studying new techniques and tools. She has taught at some of the top trade shows throughout the USA. She has consulted many other grooming businesses in the States, Japan, and the Netherlands. She enjoys traveling, dog shows, family, her dogs, and horses when not working. We have a variety of bathers that assist us in getting the pets clean and dry including Tabatha, Allie, Mike and Miranda. They each know dog breeds, coat types, and about 15 different varieties of shampoo and conditioners. In addition, they are working with all types of dogs and personalities in a somewhat wet environment. We appreciate all that our bathers do to help support the business. All of our phones ring into our Parker location and the staff is able to determine which location you are calling about by the ringtone. They make appointments for all locations including Aurora, Mobile, and Parker. Leading our front desk staff is Mima along with Jenene, Michelle and Katie. The front desk staff sometimes has to coordinate many things at one time and they do it all efficiently with a smile. We appreciate them keeping the business organized and always having a friendly face to greet our clients. Several staff members help in the kennel and daycare areas including Jessica, Heather and Lindsey. Throughout the day, they clean, play, supervise, feed, chase and throw the ball, pet the cats, pet the dogs, clean some more...well, you get the idea. They are busy! Jessica, our Lead Kennel/Daycare Coordinator, helps by staying overnight with our pets in addition to her day job, as well as, Lindsey, Heather, and Kristin. We usually spend the evenings throwing the ball or just sitting and petting the boarders. We have the overnight staffing to ensure the safety and comfort of our boarding pets. If they need anything, our overnight staff is here to make sure they are comfy.